Posted on February 6, 2018 February 8, 2018 by Heather W.
With the new year I know many of us are trying to get healthier and make better choices when it comes to our food. One of the most difficult problems I face is finding snacks in between meals that are filling and nutritional. There is a point in the day between lunch and dinner where I find myself filling up on unhealthy snacks. I decided it was time to find some healthy snacks that will help me feel full between meals and not taste completely bland and boring. 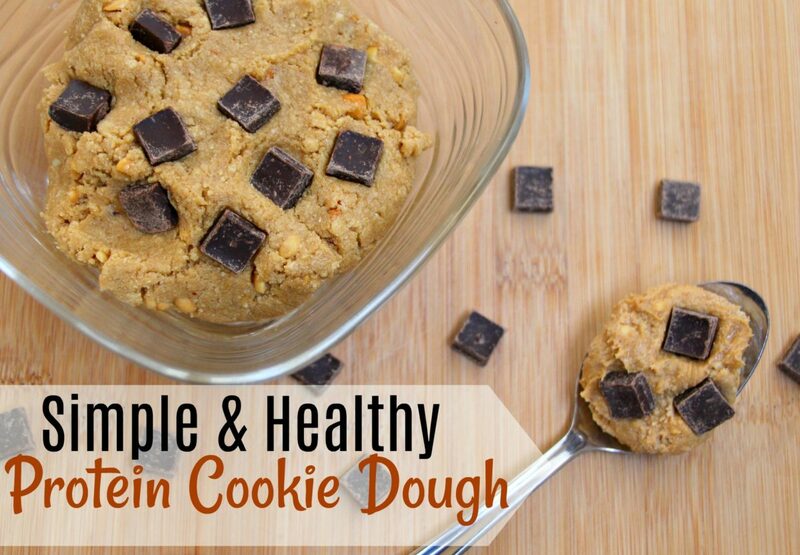 That is where I discovered that the simple and healthy protein cookie dough was the perfect solution! What I love so much about this recipe is that it’s simple to make, easy to stock up on, delicious and healthy! 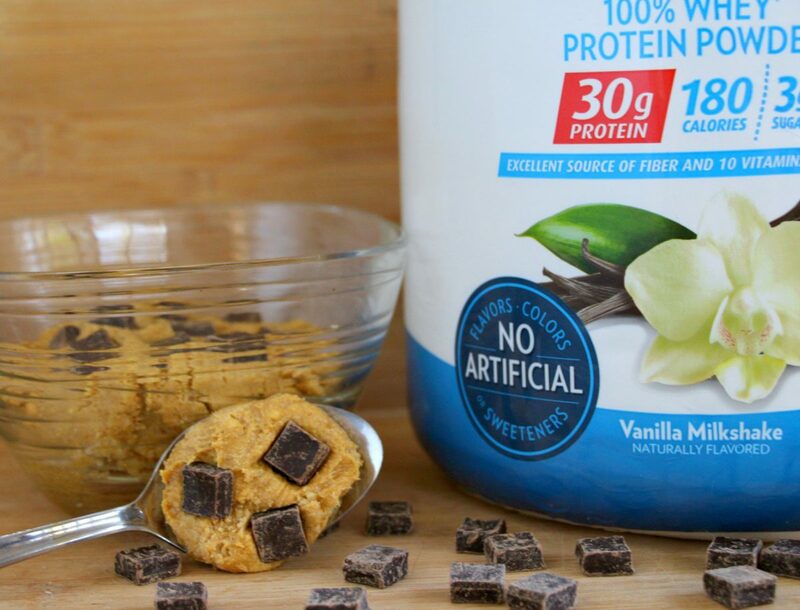 The main ingredient in this recipe is the Premier Protein Whey Powder. This new and improved formula contains 30 grams of protein, 3g sugar and 10 vitamins and minerals, and there are no artificial flavors, colors or sweeteners. 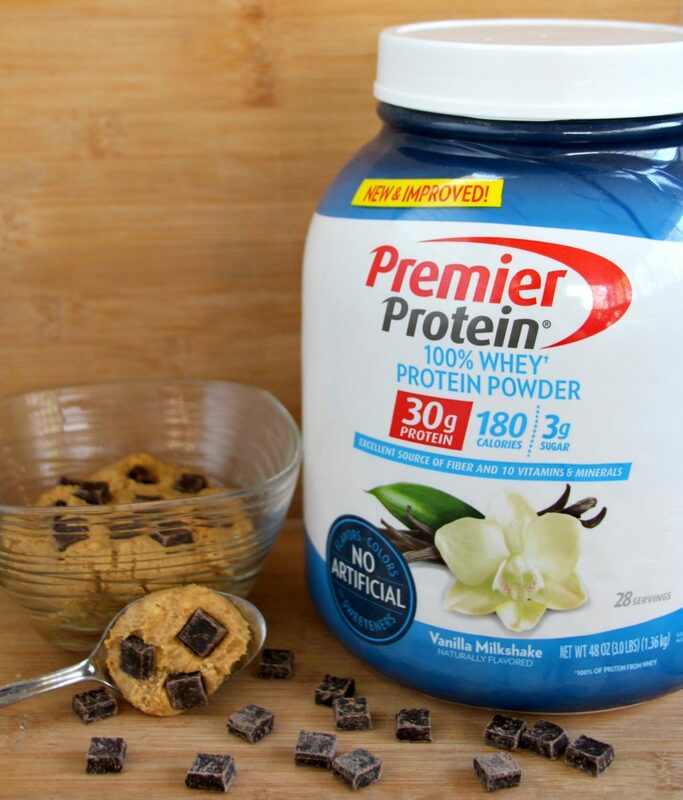 Perfect for shakes, smoothies or cooking… there are so many delicious ways to enjoy the protein powder. 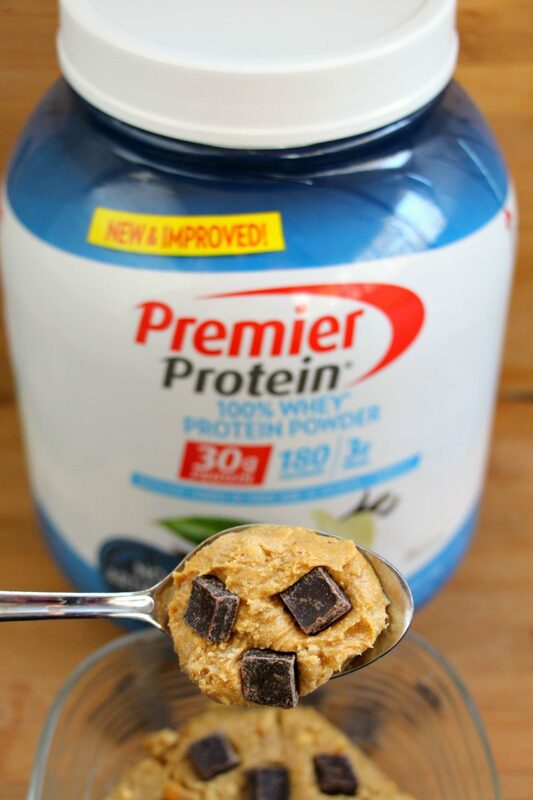 What intrigued me most about Premier Protein whey protein is that it contains the essential protein my body needs while containing just a fraction of the sugar and fat that other protein sources provide. Most importantly for me tho… the formula is designed to curb hunger and fuel energy, which has helped me with unnecessary snacking during the day. 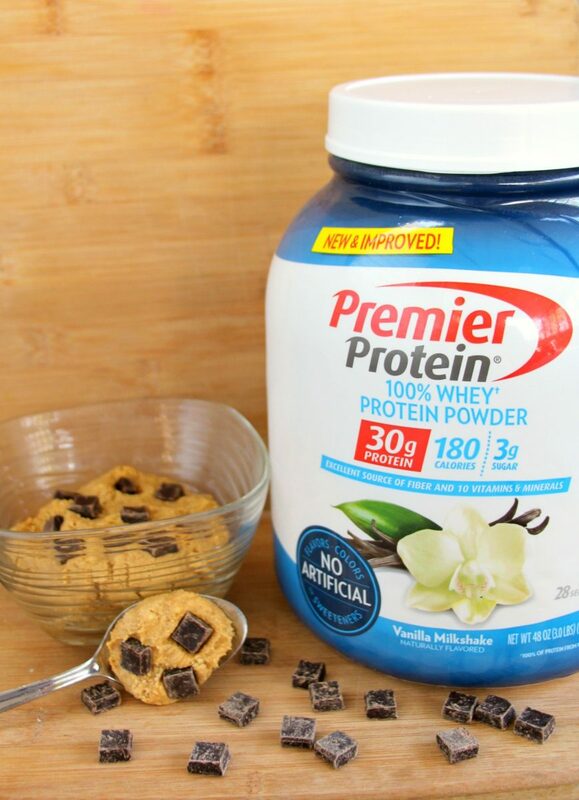 Premier Protein whey protein is available at Sam’s Club stores, nationwide, which means you wont have any trouble getting your hands on this product! 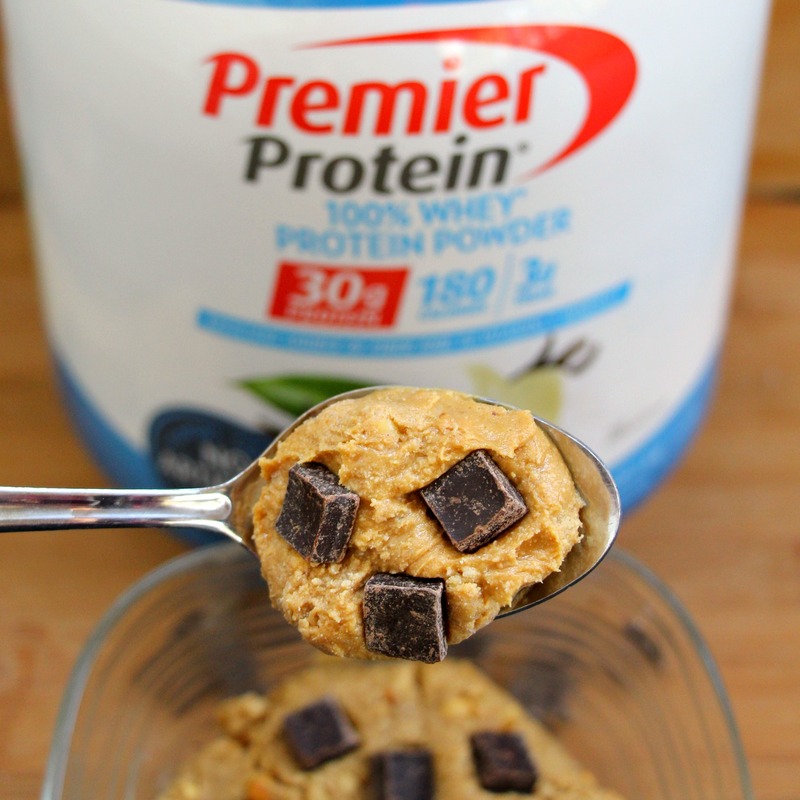 How to make the protein cookie dough! Now I tested out several recipes for this and used different products to get the results I wanted. What I discovered in my journey in creating this recipe that the ingredients you choose make a significant difference. 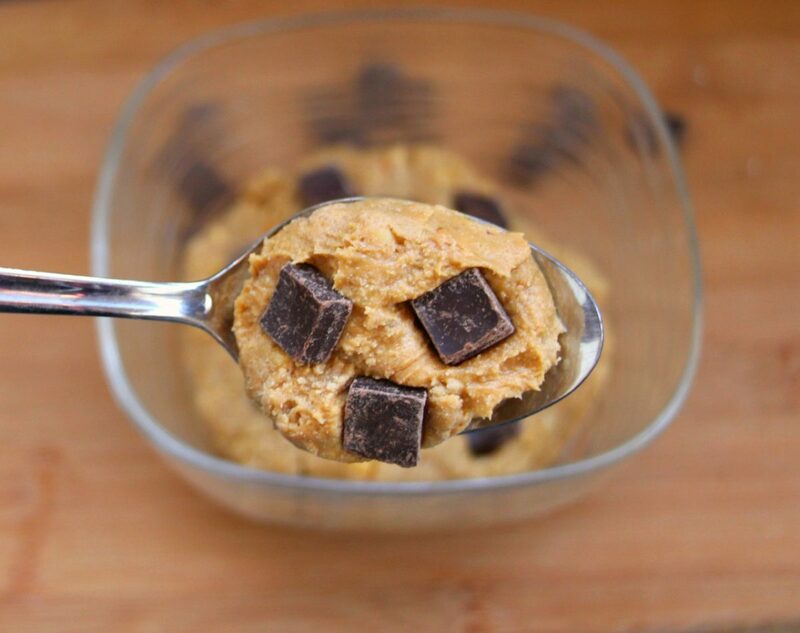 Almond butter didn’t work out so well for me and I preferred a crunchy peanut butter instead. I honestly think this recipe is personal preference and just adding ingredients until you are happy with the taste and consistency will yield the best results! Store in freezer, thaw for a delicious and healthy snack! I hope you enjoyed this recipes and I would love to know what ingredients you chose to use! I used crunchy peanut butter and almond milk for my recipe and this was by far my favorite combination. ← Discovering Your Ideal Workout Will Lead To Success!